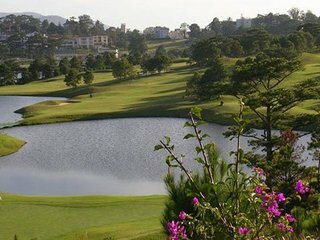 With its mountains and wild rivers, Dalat City and its surrounding area is among the best places in Vietnam for adventures and sports activities. If you had enough of sandy beaches or busy streets, come to Dalat and enjoy the great diversity of adventurous outdoor activities. There are many things to do in and around the city, such as hiking, biking, trekking, rappelling, cruising and simply enjoying the fresh air. For day hikes, you can wander out into the woods and guide yourself. But for higher level sports, it may be best to go with a tour provider. Hiking up mountains, such as Lang Bian Mountain, takes you to a vantage point from where you have an overview of the wild highland ranges west of Dalat. If hiking with a tour guide is not adventurous enough for you, try mountain biking, canyoning and whitewater rafting. The wild landscape of Dalat and its surrounding area is more than suitable to satisfy every agile tourist’s thirst for adventure and physical strain. Phat Tire Ventures offers a variety of great tours into the bush. 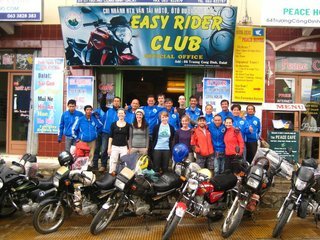 If adventure for you means sightseeing from the back of a powerful motorcycle and cruising along winding mountain streets through a beautiful landscape, then drop by the Dalat branch of the Easy Rider Club. The customized tours on their heavy machines make the hearts of travel enthusiasts beat faster. To explore Dalat’s surrounding scenery by car, line up a classic Citroen tour through Ana Mandara Villas Dalat. Apart from going out, sightseeing and indulging in the delicious food of Vietnam’s “flower city”, there are other cool activities such as: Get a relaxing spa treatment at La Cochinchine Spa, Ride an elephant at Da Tien Elephant Rides, Play golf at Dalat Palace Golf Club or Sacom Golf Course, Get an introduction to Vietnamese cuisine in a cooking class, Visit a village of the Lat People, Check out the Elephant Falls of Dalat.